International Center on Nonviolent Conflict (ICNC), in partnership with Rutgers University International Institute for Peace (Rutgers IIP) will host a free, moderated online course, “People Power: The Study of Strategic Nonviolent Resistance,” which will take place from September 27 to November 10, 2017. The course will take place on ICNC’s online learning platform that applicants can already registered for and automatically get access to our “Online Academic Curriculum” with many resources relevant to civil resistance studies that can be consulted prior and after admission into the People Power course as a way to supplement the learning materials that will be available to admitted applicants once the People Power course commences. For the People Power online course, an orientation email will be sent out to all accepted participants to guide them through signing up, logging in, interacting in the online space, and getting the most out of the online learning experience. We will also offer a live orientation webinar, available on two occasions during September 28, the day after the official start of the course. 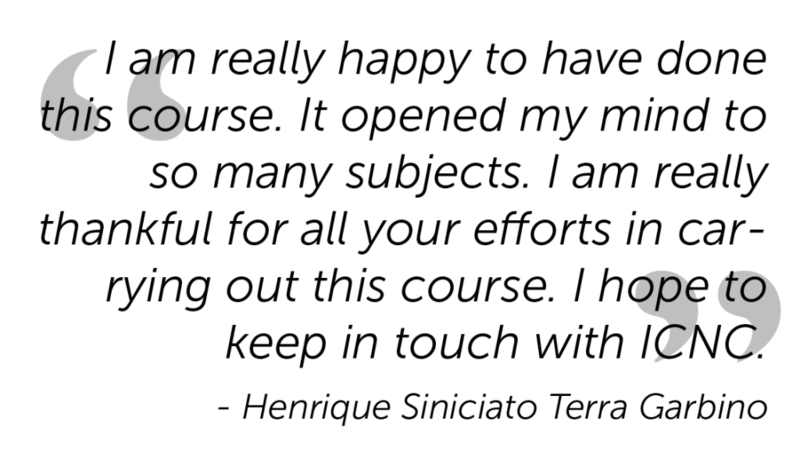 To learn more about the course, check out the links below. The deadline to apply is September 17, 2017. Civil resistance is a social and political phenomenon that defies a long-held belief in the power of arms to challenge brutal, violent adversary. Contrary to the dominant news narrative about endless civil wars and political violence, nonviolent resistance campaigns against repressive states have been on the rise in the last few decades, surpassing violent insurgencies by almost 5 to 1 in the last 15 years. Informed by these important developments in the field and scholarly findings, this free, online course provides an interactive, in-depth and multidisciplinary perspective on civilian-based movements and campaigns that defend and obtain basic rights and justice around the world. 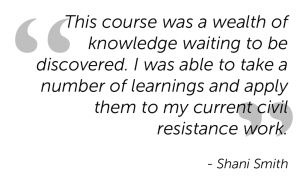 The course explains the nature of civil resistance and its force, underlying dynamics, and effectiveness. During the course we will reflect on the skills and agency of ordinary people, their strategies and tactics, the backfire effect, and defections. We will look at how entrenched political and social structures and practices shift under the pressure of organized nonviolent movements, and the long-term impacts on societies, nations and institutions. 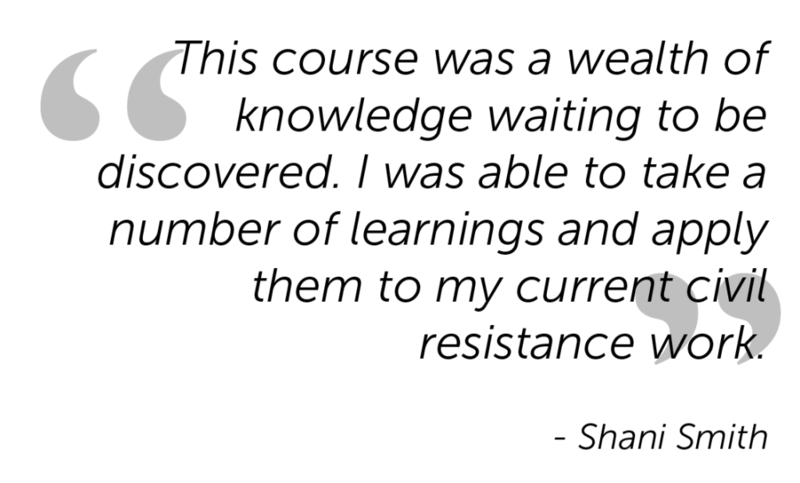 Finally, the course will also examine a variety of case studies of civil resistance struggles, including those whose objectives are not regime change but instead to challenge corruption, change policies, or counter abusive and violent non-state actors. The online course will involve a number of activities to be completed within specified time frames, including forum posts, recorded webinars, readings, videos, webinar meetings and online discussions. Students will also meet in small video discussion groups every couple of weeks to share their experiences and stories, reflect on how course materials might help movement organizing in their contexts, and learn from others in more depth. Experts in the field will provide their insights and moderate various forums of the online class while live webinar events will offer participants an opportunity to listen to and engage with other practitioners who will reflect on organizing, planning and waging civil resistance actions in different parts of the world. The information below is subject to modification. All admitted participants are expected to spend between 7 and 10 hours per week in the online classroom, and a minimum of 1 hour per day (7 days) for the full duration of the course on reviewing materials, posting comments about the readings and assigned videos, and interacting with/responding to other participants’ posts and moderators’ comments. Participation in the online class is not restricted by time zone. Course content, forums and posts are all accessible to participants at any time of day. Participants of ICNC’s 2017 online course who have met all requirements and actively engaged in course activities and interactions throughout the course are eligible to apply for ICNC’s 2018 small grant opportunities. These include the ICNC Local Learning Initiatives Network (LIN fellowship) and Small Grants Program. 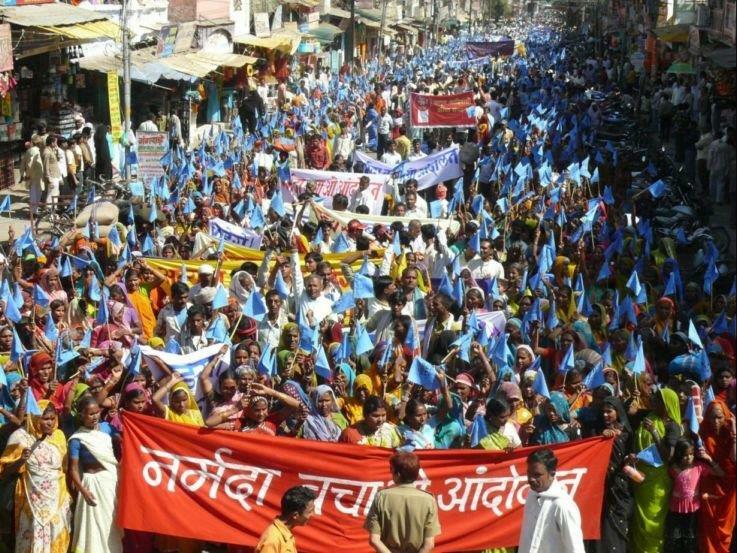 These programs support grassroots initiatives that build and spread knowledge and skills related to nonviolent resistance in communities around the world. Grant funds can be used to design and give workshops, develop engaging materials, map or monitor movements, translate material into local languages, and other creative activities. ICNC might also reach out to selected participants who completed successfully the online course and stood out with their contributions and insights on various discussion forums and invite them to be webinar speakers in Winter or Spring 2018 as part of the ICNC Webinar Series. We will also send a signed certificate of successful participation to all qualified candidates who request it. Graduate students, educators, scholars, activists, organizers, members of civil society, journalists, and policy professionals. Participants may choose to take the course and receive graduate credits from the Rutgers University Graduate Schools in Newark, New Jersey, that may be transferable to one’s academic institution. Taking the course for credit will involve a fee and additional assignments (more details available on the application form). Yes. Provided that all the course requirements (posting on the mandatory forums and engaging actively with other participants and materials) are met, we will provide a certificate of completion for this course. After you are accepted for the course, and before the course begins ICNC will send your contact information to the Rutgers administrators who will be in touch with you regarding the payment for the credits. Preference in admission will be given to those who can commit fully to the stated course requirements, including hourly commitment (min. 1h per day and 7-10h per week). We cannot guarantee an admission for those who cannot commit to the course requirements though they can still submit their online application for our consideration and add a note regarding how much they can commit to if, for various reasons, they cannot take the full course load.